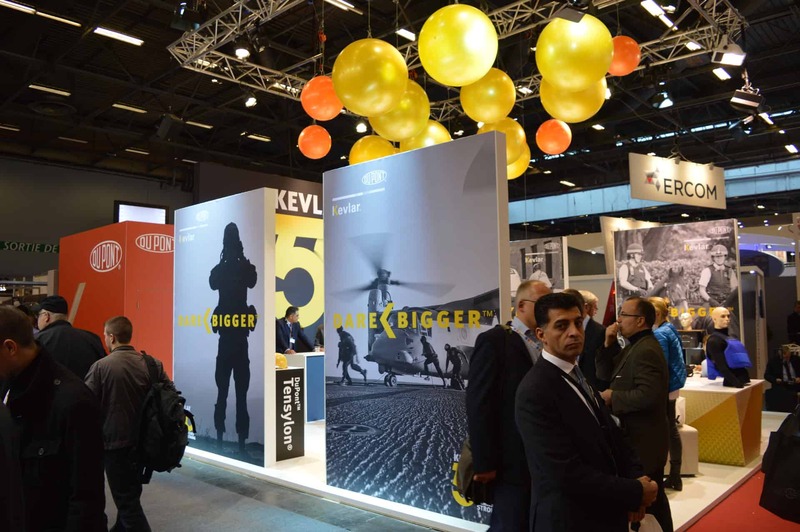 Milipol, one of the world’s leading exhibitions of law enforcement and homeland security products opened under increased security last week with the event kicking off just four days after the tragic terror attacks in Paris. The backdrop of the tragedy in Paris, some of which happened just 8 miles from the convention center, put the spotlight on vendors of security and security intelligence products from all over the world. 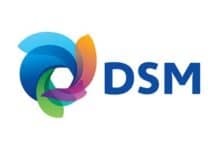 Still engaged in the aftermath of the terror attack, there were fewer representatives of the French police forces at the show and several vendors canceled product launch ceremonies, including the rollout of Dyneema’s new anti-stab material. Companies supplying surveillance and intelligence services, like BAE Systems, were absent from the event due to heightened security and the ongoing state of alert. Products on display at the exhibition this year included wearable video systems, drone technologies, advances in body armor technology, and new surveillance integration platforms. A few personnel who planned on attending the show as vendors ended up assisting French authorities searching for terrorism suspects. 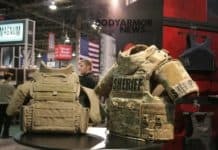 Body armor manufacturers including MK Technology, EnGarde body armor, Sioen, Verseitag, Rheinmetal, Mars Armor, Point Blank Armor, NFM, BSST, Seyntex, C.P.E. Production Oy, Mehler. and V-great were on hand at the show and presented a wide range of state of the art body armor technologies. BodyArmorNews.com was there to get pictures of the event and many of the exciting new products. 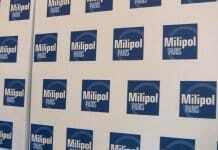 Perhaps ironically, the fight against terrorism has always been central to the Milipol exhibition. Besides being a display of current anti-terror technology, the program also features law enforcement and military organizations from around the world sharing experiences and new tactics for dealing with terror threats. BodyArmorNews.com would like to join the millions extending heartfelt condolences to the families and victims of the terror attacks in Paris. We renew our pledge to keep our readers up to date with the latest trends in body armor news and technologies. Please check out our Facebook page for our Milipol 2015 pictures.